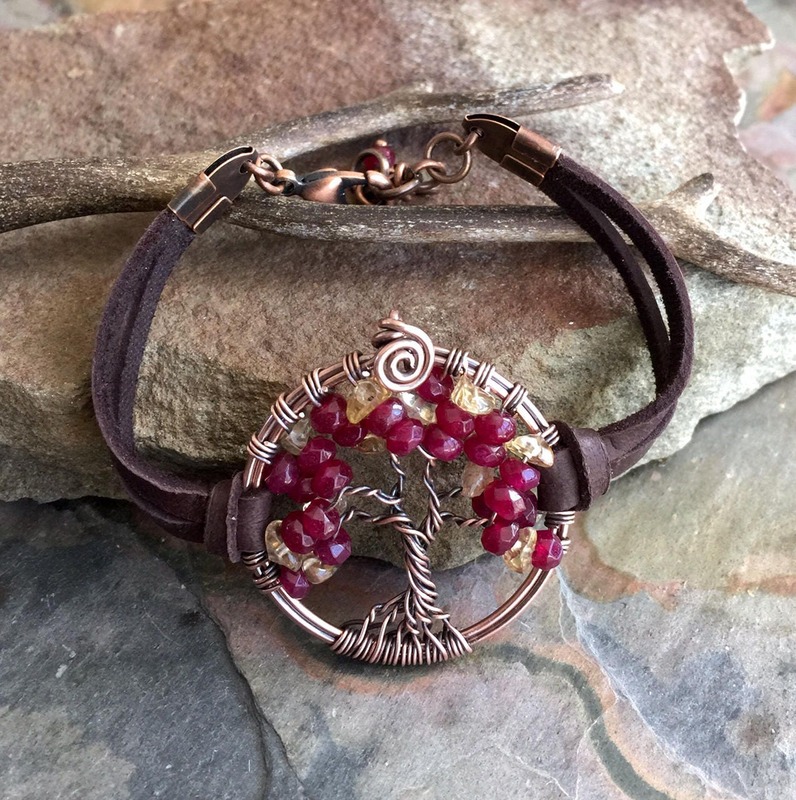 This listing is for the Tree of Life bracelet made with Genuine deerskin leather-rustic yet feminine!!! **PLEASE ONE BIRTHSTONE GEMSTONE PLEASE. EMAIL ME WITH YOUR CHOICE OF BIRTHSTONE OR BIRTH MONTH. 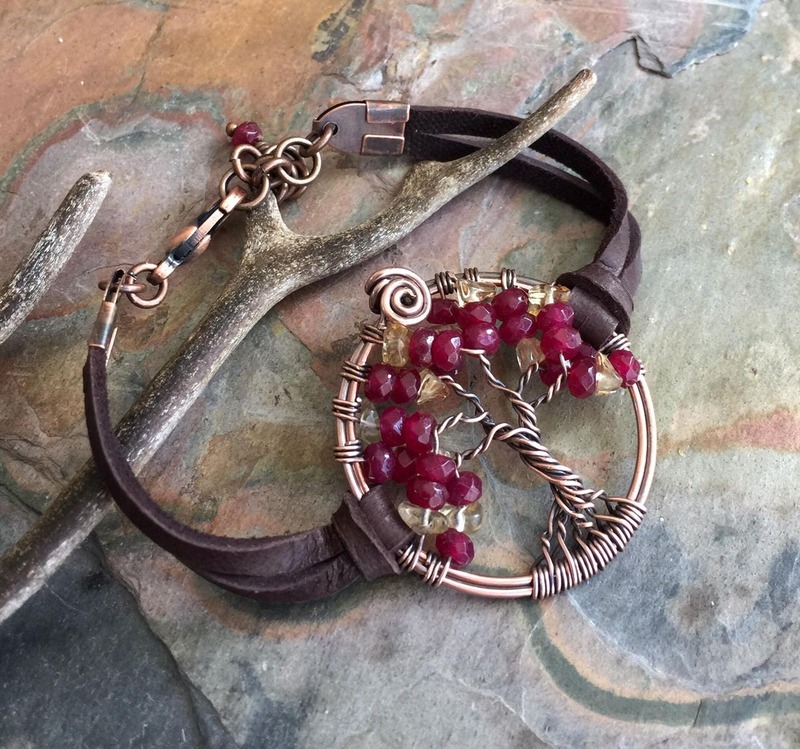 This Garnet with Cirine or custom Tree of Life bracelet is hand wire wrapped with genuine Garnet gemstone using antiqued copper wire for the tree trunk & branches. It is a beautiful gift to give and receive! Photos shown on a chocolate brown leather. ~~The Tree measures about between 1.30 to 1.35 inch in diameter. The US quarter coin is about 1 inch(25mm) in diameter. 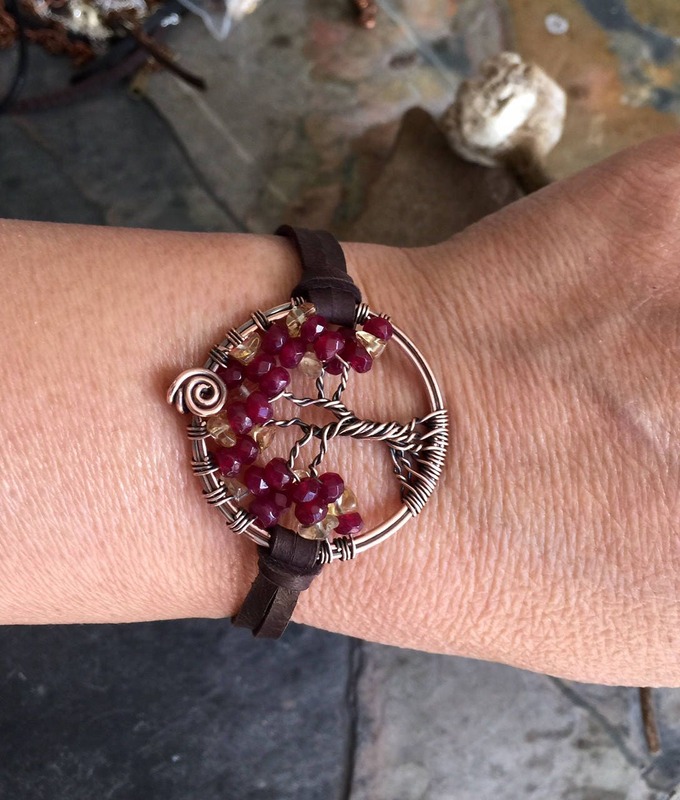 ~~ Each bracelet is handmade, so please allow slight variations from the shape of the branches and placement of the stones as shown. *Lobster clasp is the most secure type. I can change to a hook style for the bracelet, but that hook can be easily come off from the the wrist when you move around. Email me if you would like it in hook style otherwise Lobster clasp is used. Place a piece of tape over the bracelet. 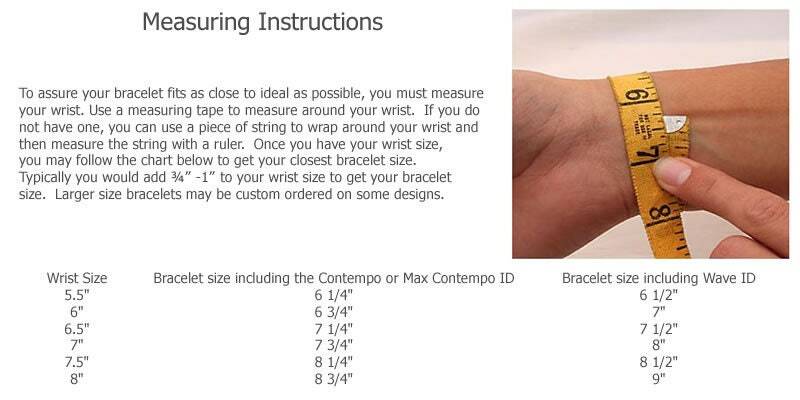 Make sure to use a large enough piece of tape to firmly secure the jewelry to your wrist. It’s best to place the tape just behind the end of the bracelet, so that part is especially secure. Scotch Tape, actually works best for this purpose. Secure the clasp with your free hand. 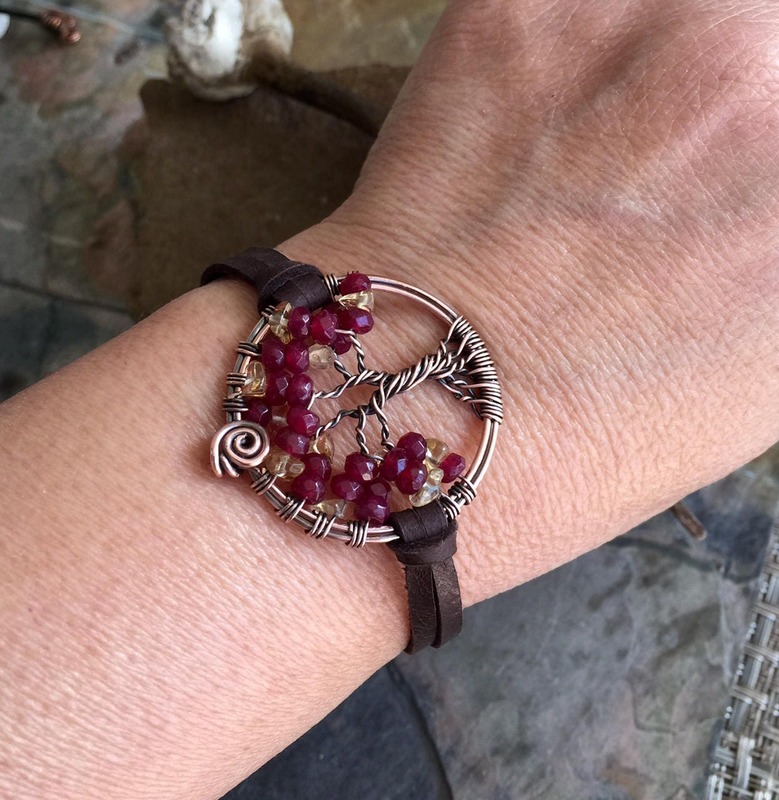 With the tape holding the bracelet in place against your wrist, you can easily wrap the bracelet around your wrist and close the clasp with your opposite hand. 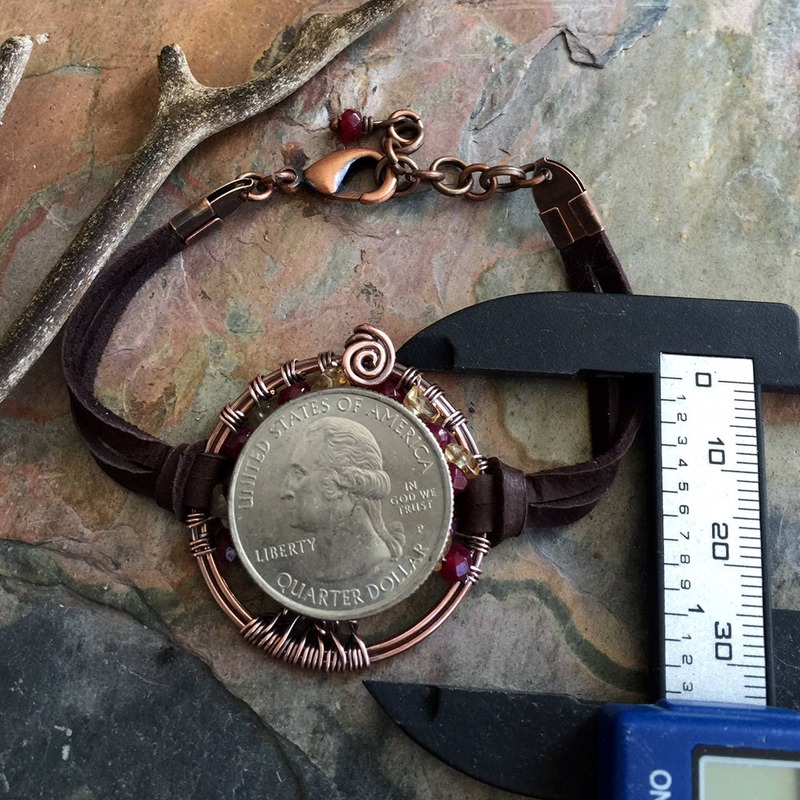 Once the bracelet is secure, simply pull off the tape and discard. 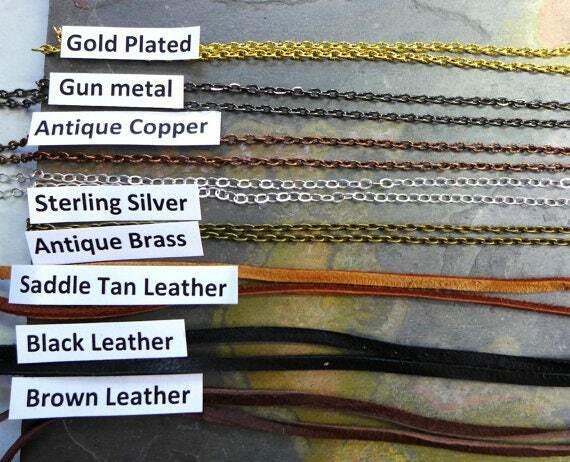 If you’re having any trouble closing the clasp, make sure to keep the hand that you’re putting the jewelry on braced against the table or counter so it remains steady. Thank you very much visiting my shop.